Bring Me the Head of Alfredo Garcia (Twilight Time, Blu-Ray), one of Sam Peckinpah’s personal favorites of his films (and the rare Peckinpah film not to get reworked by the studio), opens on an idyllic river scene with a pregnant girl soaking her feet in the lazy current with a beatific smile on her face. 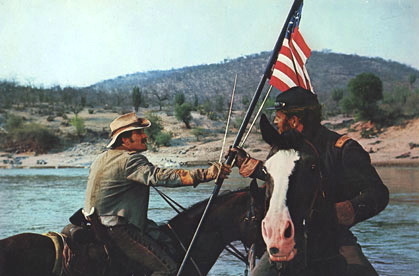 In his great westerns, the river scenes are the brief escapes from violent lives in his character, reprieves in the middle of the drama before they march back out to meet their fates. 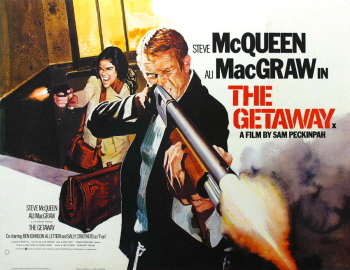 This comes before the story even begins and once the spell is broken by the violence of a brutal father, a Mexican crime lord played by Peckinpah regular Emilio Fernández, and a $1 million bounty placed on the head of Alfredo Garcia, the father of the unborn child, there is little peace or paradise to be found. Warren Oates stars as Benny, a grubby lounge pianist playing for tourists in a Mexican dive when a couple of American hitmen (Robert Webber and Gig Young) saunter in looking for information on “an old friend.” Benny thinks he’s hit the jackpot—a whopping $10,00 for giving them proof that Alfredo Garcia is dead (yes, they want his head)—but it costs him everything that matters and the tawdry treasure hunt turns into a revenge drama. It plays like a pulp noir thriller by way of a road movie of the damned, marinated in mescal and left to rot in the desert sun. Benny’s not that smart or savvy but Peckinpah clearly loves this small-timer with his wrinkled white linen suit and clip-on tie and bad cantina sing-along songs. He may be a loser but he truly loves his philandering girl Elita (Isela Vega) and he develops more backbone with every stage of the odyssey. When he’s double crossed, he literally drags himself out of a shallow grave and returns with vengeance on his mind, fueled by rage, tequila, and a perverse loyalty to the rotting head he’s come to talk to like a father confessor. The film opened to scathing, outraged reviews (one notable exception was Roger Ebert, who called it “some kind of bizarre masterpiece”) but has since been embraced as a perverse masterpiece, the ultimate cult film in the career of a defiantly confrontational director. Twilight Time gives the Blu-ray debut of this film more original supplements than any previous release from the label. The 55-minute documentary Passion & Poetry: Sam’s Favorite Film is a new production from German filmmaker and Peckinpah fan Mike Siegel featuring a wealth of interviews with Peckinpah actors and collaborators. 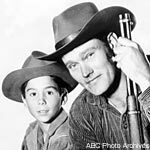 A new commentary track by Peckinpah historian and Twilight Time co-founder Nick Redman with Alfred Garcia co-writer and executive producer Gordon T. Dawson is paired with a track by Peckinpah scholars Paul Seydor, Garner Simmons, David Weddle and Redman previously recorded for the film’s DVD debut. 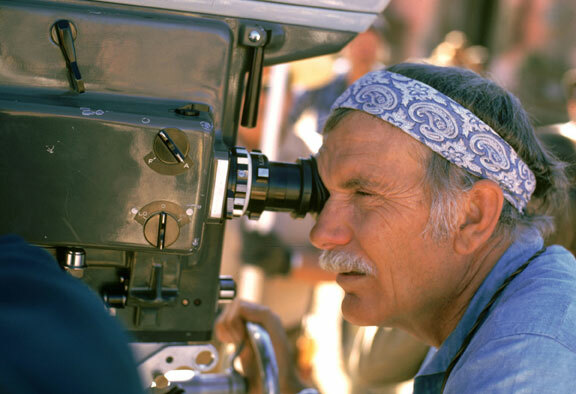 There’s a new 25-minute video interview with Peckinpah biographer Garner Simmons, who was on the set of Alfredo Garcia, and a gallery of stills and promotional art, plus Twilight Time’s trademark isolated musical score and an eight-page booklet with an essay by Julie Kirgo. Limited to 3000 copies, available exclusively from Screen Archives and TCM. Mandeville Canyon is a quiet, curvy stretch of road a good ten miles from Hollywood, lined with well-appointed homes generously separated by shrub and woodland. Where the grade begins to increase, as if the road aspired to eventually climbing out of the surrounding high hills, one’s eyes cast leftward toward a graciously imposing bluff. Ranks of white fence dominate the near horizon and reappear brokenly through the trees on the hillside beyond. From the road they’re the only visible sign of “Robert Taylor’s little cabin where he used to ride horses—in point of fact, a sprawling ranch house replete with baronial dining rooms, parlors, studies, bedrooms, and enough bars to keep the clientele of a metropolitan watering hole happy. This particular late-afternoon in December 1982, the peace of Mandeville Canyon is not secure. As we park along the roadside and climb out for the walk up the long lane, an abrupt burst of light-machine-gun fire rips the twilight. We are undismayed; indeed, the effect is reassuring, even charming. Someone is tuning up for another night’s shooting on The Osterman Weekend, the first theatrical-movie version of a Robert Ludlum bestseller and the first film Sam Peckinpah has directed in five years. 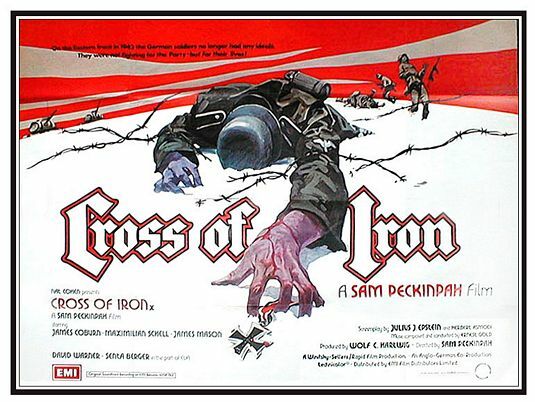 Convoy continues Peckinpah’s voyage into “nihilist poetry,” in the phrase of Pauline Kael, which began to be dreamily insistent in The Killer Elite and became the whole show in Cross of Iron. At a glance, the new film looks closer to conventional narrative than that Yugoslav-based war picture, filmed in a nightmare neverneverland of green mud and orange blossoms of flame, with nary a Bo Hopkins or L.Q. Jones among Sgt. Steyner’s Teutonic Wild Bunch to certify the place as home. Convoy rumbles down a linear track in the modern American Southwest, accommodating a couple of days’ time in the lives of legendary badass trucker Rubber Ducky (Kris Kristofferson) and an ever-increasing number of his confreres, gathering initial impetus from a run-in with a trucker-hating, dirty-tricks-playing sheriff (Ernest Borgnine), and escalating through a series of deliriously ill-advised acts of rebellion that virtually compel the retributive/destructive force of The Law to come down on the vagabond heroesâ€”these “modern cowboys,” as both a fatuous politician and the logic of Peckinpah’s own career would have it. Rubber Duck and some half-dozen good buddies, barreling toward the state line, gradually find themselves the vanguard of a vast caravan and the focus of a boundless populist movement whereby all sorts of abused “little punks” (Frank Capra’s phrase this time) get to sound off about everything from Nam and Watergate to the infamous “double nickel” national speed limit, which restricts private-enterprise commerce and just plain interferes with a fella going down his own road (cf. Jr. Bonner) at his own good time. The poetry comes in less through the occasional overlap ballet of trucks amid backlighted dust clouds—a rather film-student-y idea carried off no better than the average film student might–than in the bemusement with which Peckinpah piles on the improbabilities. Finally, Rubber Ducky and cohorts are no more driving through a real piece of the American Southwest than Sgt. Steyner and his platoon were walking through a documentary version of the Second World War on the Russian front.